"At the time I began writing poetry, in summer of 1996, I felt like a divided soul. On the one hand, I was given a public image as the Unabomber's good and responsible brother. On the other, I endured a personal crisis as I watched my family and my world come apart. "The process of writing poetry is my attempt to reclaim and reintegrate (and also to question) my sense of who I was and am, to connect in some way the inward-facing and outward-facing aspects that presumably are needed to make a "whole" person. In most public discourse, blocks of meaning are presented and accepted with little questioning. But in a poem, everything is up for grabs. Poets do not aim to fill space but rather to discover it -- to uncover a world that is less determined, more open and alive. 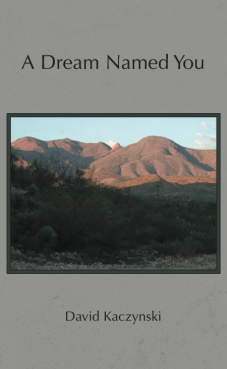 "The poems in this book are an attempt to trace a spiritual journey across such a landscape from loss to affirmation." The book is gorgeous, in the best sense of the word. The cover is so handsome, and of course the poems so modestly powerful, so personal and yet so universal. I especially like the person who shines through them, thoughtful, observant, tender toward the world's incredible presence expanding slowly from its past into the emergant future, hidden but foretold.